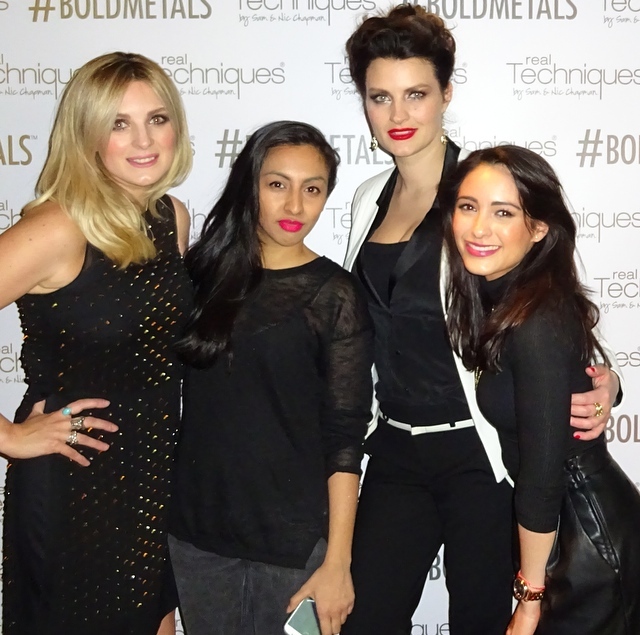 The Pixiwoo ladies have done it again! Yes the sisterly duo Sam and Nic have launched a brand new collection of Real Techniques brushes. I am a huge fan of the first collection so I was super excited to hear about the new additions. 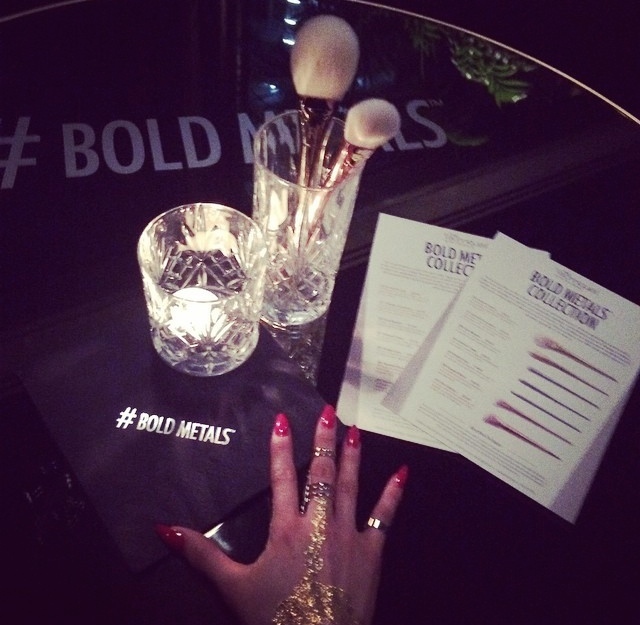 The launch party for the Bold Metals collection was held in the Rumpus Room, the rooftop bar and lounge at the Mondrian London Hotel. 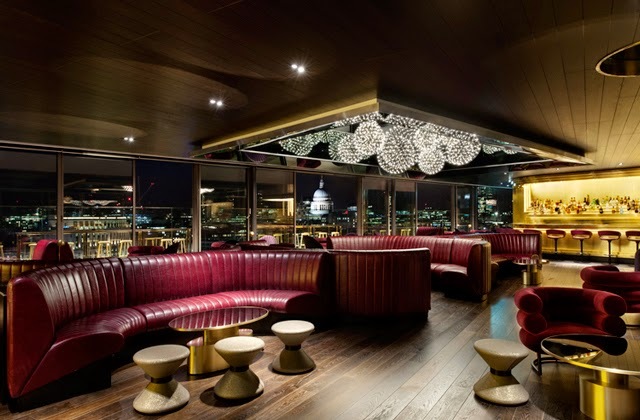 The venue was the perfect setting to present the seven new premium brushes. These have been designed with gold, silver and rose gold weighted and tapered handles for optimal control and comfort. The brushes not only look gorgeous but feel divine as well. The brush’s tapered white bristle tips feel super luxe and are perfect for creating a buildable finish to your makeup. Of course the brushes come with a Youtube tutorial on how to use them. I wouldn’t have expected anything less from the Pixiwoo girls! At the party, Sam and Nic also went through each brush to explain their new exciting features and benefits. There’s nothing better than getting advice straight from the ladies themselves! 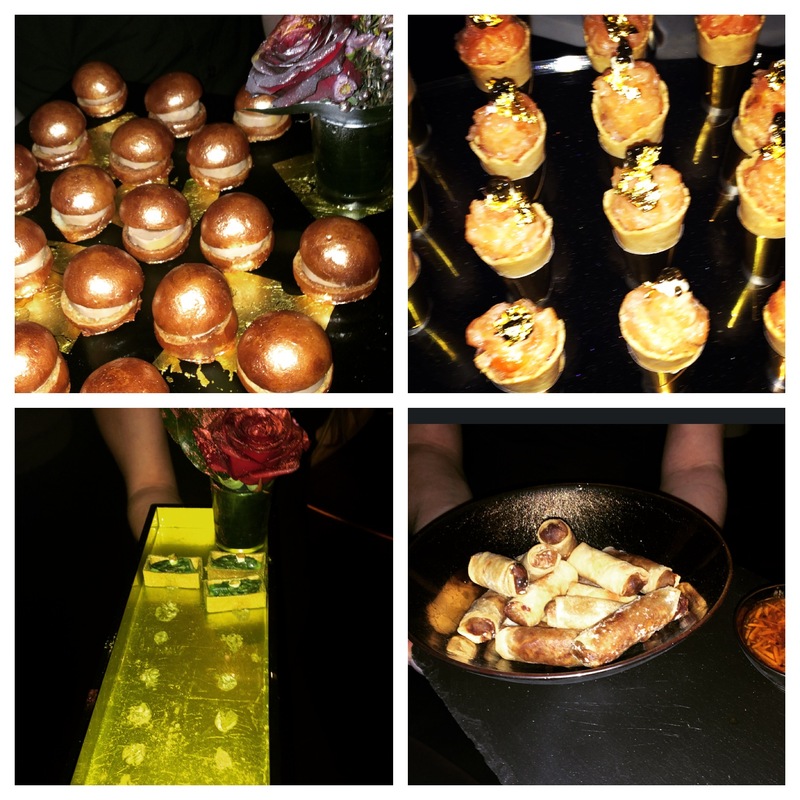 The night was filled with delicious canapés served on beautiful trays from Nom Living. It was a real honour to finally meet the Chapman sisters as I have been following their journey for so many years and they are a great inspiration to me. Nic was loving my Luxury Temporary Tattoos by Seekers of the Sun! All in all it was a fabulous night. So a big round of applause goes to Sam and Nic, Real Techniques and Kilpatrick PR who really know how to through a party!